Max in the Hampsten workshop. Photo from Cycling Inquisition. Max Kullaway might not have the same celebrity as some in the industry, but his roots in frame building run deep. He got his start production welding at Merlin. He later joined Seven Cycles as the company got off the ground. 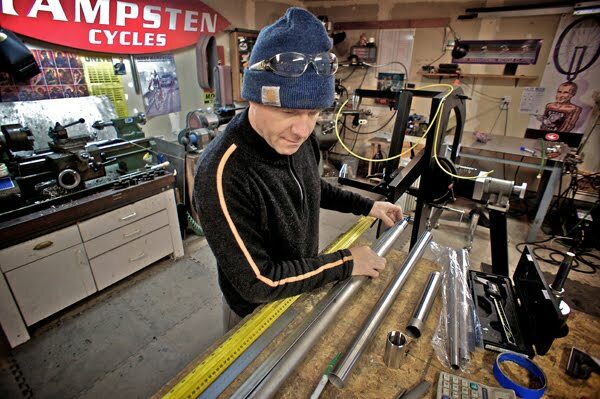 Now, with over two decades of experience under his belt, he’s building for Hampsten bikes, welds titanium frames for Davidson, and runs his own company 333 Fabrications (pronounced triple three). 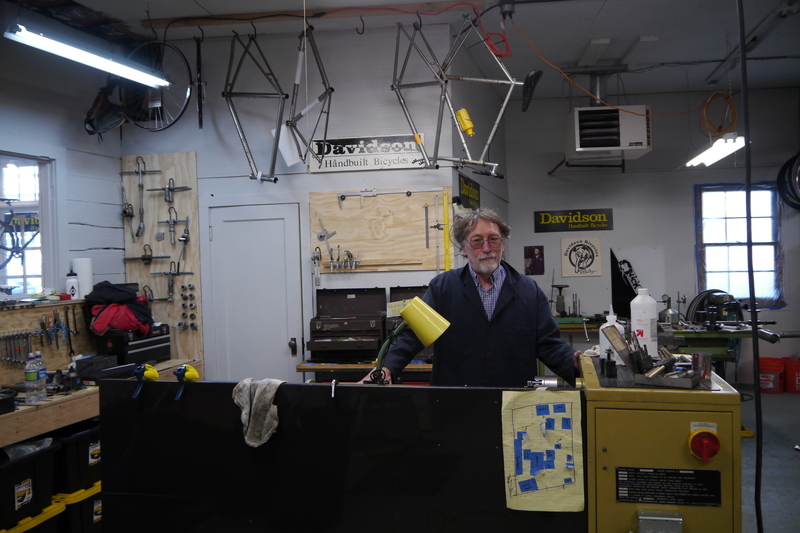 I sat down with him in the workshop he shares with Steve Hampsten at Hampsten’s house in North Seattle to talk about his background in metal fabrication, his early days in the New England frame building world, his move to Seattle and reentry into bike building, getting 333 off the ground, and more.